When summer warms up and the days are long, peaches are in season. The sweet smell of mowed grass and the enjoyment of summer vacation are almost as good as that first ripe peach just pulled off the tree, unless of course, you find half of a worm in that bite. Prevent insects by spraying your peach trees. 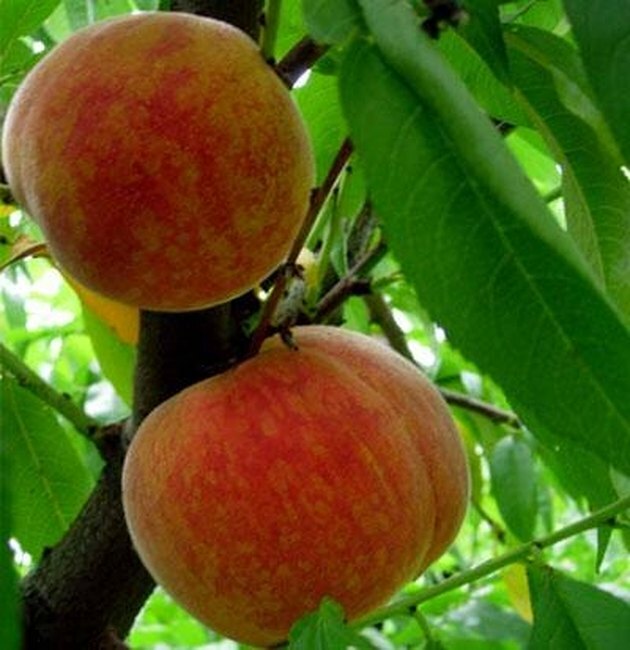 Many backyard peach trees are destroyed by pests that could have been controlled by spraying with a dormant oil spray such as Superior Oil during the winter months. Apply a dormant oil spray mid-winter, then again three weeks later to prevent borers from nesting into the bark of the peach tree. As the tree starts growing in the spring, it will bud new leaves and blossoms. Before the blossoms open, apply a fungicide spray (such as Bravo or Captan) to prevent brown rot or powdery mildew, and an insecticide (such as Guthion or Ambush) to prevent bugs like the stinkbug from ruining your crop. Do not apply these sprays after the blossoms open, as it will kill the bees and other beneficial insects that aid in the pollination process. Once all of the blossoms have fallen for one week, start your summer spraying every two weeks, up until the last two weeks before harvest. Spray with a fruit tree spray that combines and insecticide and a fungicide, or buy specific sprays for your tree's specific problems. For the last spray at two weeks before harvest, or the sixth or seventh spraying, do not use an insecticide so any insecticide has a chance to wear off before the fruit is picked. When Is the Best Time to Spray Fruit Trees & How Often?